The Alcatel-Lucent MDR-5000 series of digital radios are designed specifically to operate within your network, with capacities of 4, 8 and 12 DS1s. Each model can deliver multiple frequency bands, and these radios provide multiple options for existing alternatives to narrowband users. While these products have reached their end of life and will no longer have main service, the refurbished Alcatel-Lucent MDR-5000 family of radios will give your network the ability to easily and affordably upgrade to a higher capacity, without issues or concerns for outages on a protected system. Used Alcatel-Lucent MDR-5000 digital radios are well purposed for tying your cell sites and switches together to give you a stronger backbone for your applications. Nokia acquired a variety of assets from Alcatel-Lucent and that includes the MDR-5000 series of radios, bringing them into Nokia’s existing family of radio support for networks. The company has noted that most of the MDR-5000 models are no longer supported because they have moved to their end-of-life status. 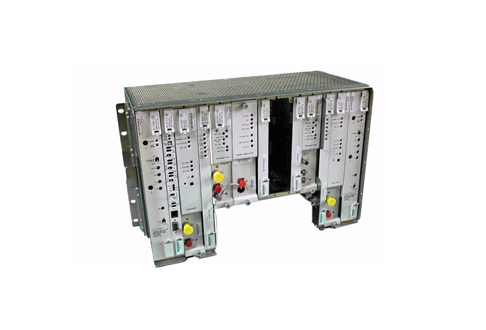 That means you need a smart, reliable partner to provide long-term support for your used Alcatel-Lucent MDR-5000s. We’ll keep things up and running and in their best shape so you can maximize their operating lifespan.